Chuck is just one of those guys for me…no matter what he does, I luv him like I luv Kobe Tai…with endless loyalty! I know he was getting sloppy with his insight on TNT. I know his gambling idiocy was beyond comprehension even for a guy running a gambling…wait…I mean sports information site. And obviously the DUI thing is beyond stupid, especially in PHX with Jason Richardson driving the streets. But what else can I say fellas, he’s still Uncle Chuck to me. 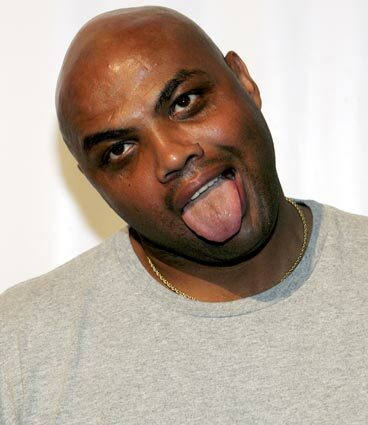 Just like an Asian on stage in a pink bikini, it's hard for me to see faults with Sir Charles! While I’ll throw a Steeler kicker unda the bus for complaining about convenience store bathroom towels, for some reason the story of Charles running a stop sign because he's excited to get the best Monica Lewinsky he’s ever had is priceless (Read about it here). And the best part of this whole incident (besides TNT taking him back) is I guarantee he returns with even more vigor & once again makes me stay-up late after some lousy regular season professional hardwood! 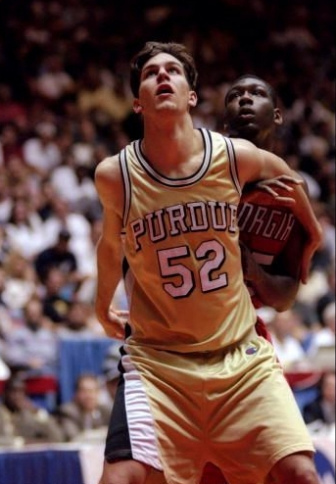 Brad Miller's second stint with Bulls is making me feel old! I agree girlfriend. After all the hoopla of an upcoming blockbuster for ChiTown, this trade kinda makes me laugh! First off, the Bulls desperately grabbed Brad "Pop-a-Shot" Miller because they entire city thought Bosh or Amare was coming and this was the best our current/former/rapidly enlarging-GM could do for a big. That being said, considering Derrick Rose’s Bigs have no idea what to do on a pick-n-anything, Miller’s ability at the high-post is gonna be sneaky special…but too bad he can’t run or jump anymore. While Noah & T-Time dove to the hole with no idea what to do, Big Brad will become a master of the pick-n-pop & keep an oversized body out of lane for Rose. As for defensively…let’s just say Brianna Banks defended better in the cinematic masterpiece Up the Wahzoo. While the first word on his undies doesn't read like this, I still think Mr. Salmons is pretty MFin good! Secondly, as I told you yesterday (TOUCH ME & SCROLL DOWN) the 6-6 John Salmons was the most underrated wing available…especially at only 5.5 Mill a year through 2011. That being said, this means Capt Kirk must go, Larry “I have the worst contract in the NBA” Hughes better find a home, and they don’t expect to sign Ben “I’m going to loose millions not taking Pax’s last offer” Gordon. This trade is kinda like going to Subway. Not the best decision, but still not half bad for the price! And finally, while we're not gonna be a player in the East, not much not to like here. Chicago gave-up nothing and got a little something back. Sure the quasi-GM needs to move a bunch more to consider this a Winna Chicken Dinna, but I expect that to happen (Kirk to Minny?). As for what I'll miss, of course Nocioni’s intensity was mesmerizing, but honestly...his shot-happiness and constant arm flailings to the refs after he basically ran over a kid on the playground got really frickin old! While I'm tryin' not to hate, every time I see T-Mac make a move I assume he's hitting the shelf for a couple weeks! And finally before my pick of the day, I have to admit T-Mac suddenly calling for season-ending surgery after rumors he was getting dumped because of salary cap issues was hilarious. Sympathy aside that his body is already 37 in NBA years, he’s absolutely done and the Rockets know it. The Nets…I mean Jay-Z just wanted him because his deal was a few years shorter than Vinsanity's. 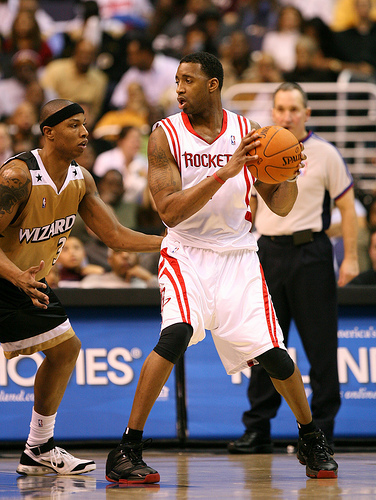 As for feeling bad for the Rockets, they dumped Stevie Franchise on somebody to get him…buyer beware BEEATCHES! Don’t blame Mr. McGrady you didn’t watch the Penny Hardaway NBA Movie of what happens to bodies like this! You know why she's so happy Homeboys? Cause she's knows my ATS Play of the Day is on the horizon! After going 2-1 ATS last night, I guess you're curious why I like the Jazz...or maybe you just want MORE HOTTIES...TOUCH ME HERE! Playing in Utah is bigger distraction than these undies! ...the King of the Spread! This page contains a single article from February 18, 2009 10:48 PM. The previous days article was Home of Hardwood Picks & Friendly Faces . The next days article was Friday Night NBA ATS with Lovely Ladies.